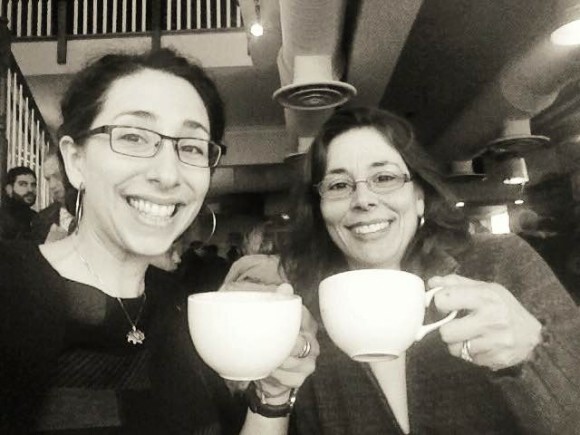 When I met Domenica Marchetti on Sunday morning in Washington DC, one of the first things that happened was that our barista asked us what size cappuccino we’d like. Domenica and I both rolled our eyes. I knew we were going to hit it off. Domenica knows Italian food. We chatted for hours about how most Italians source extra virgin olive oil, what kind of vegetables are most commonly preserved in Sicilian households, and subtle differences between American and Italian cherry varieties. If anyone happened to be eavesdropping on our conversation, they were likely bored to tears. It was awesome. 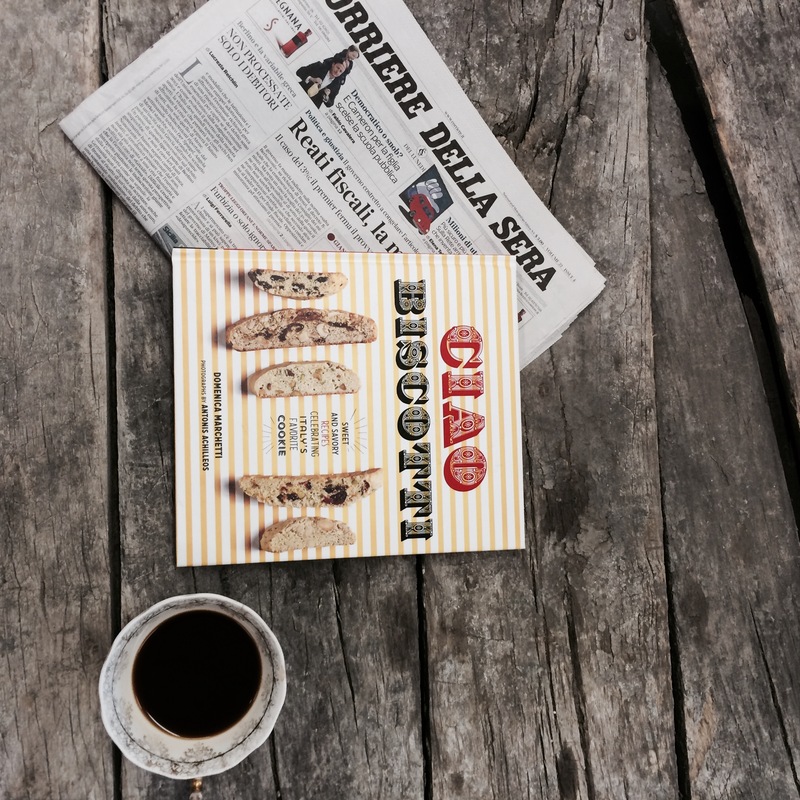 Break from warehouse life with Domenica’s latest & the paper. One of the things I most love about Domenica’s food philosophy is how much she values Italian ingredients. She told me,”when I write about using good quality ingredients, I worry that I will come across as smug. But I would rather sit down with a good quality meal, made with real pistachios from Bronte, than buy expensive clothes.” When she said that, I nodded emphatically, pushed up the sleeves of my Goodwill go-to black cardigan, and wrote it down. That night I made $25 real pesto Genovese for dinner. Domenica, I couldn’t agree with you more. Previous Post The United Nations working its way through the Gustiamo Pantry! Next Post Totally Honored. 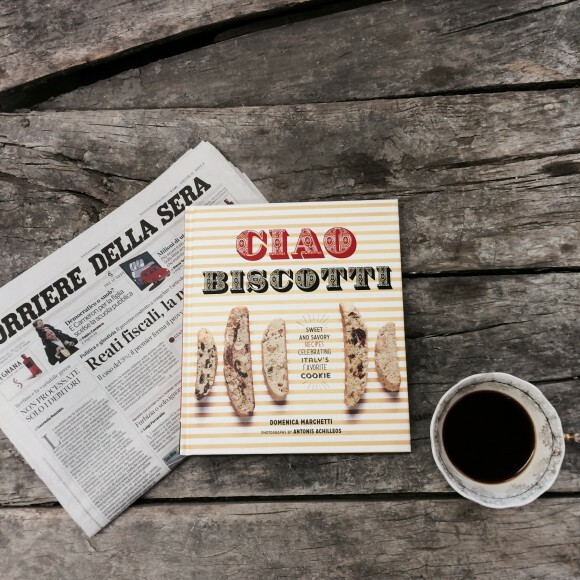 Busiate Pasta in the NYTimes.